Here's something you should know....I'm ridiculously fussy with my mascara. It has been known for me to purchase a mascara, use it once, be hugely disappointed and bin it the same day! Of course this probably wouldn't apply to something I've spent more than a tenner on, I might give it a little bit more of chance, but generally as a rule I won't persevere with something that just isn't working for me. 1. Volume - and heaps of it! I'm not good at applying fake lashes on a daily basis so I want a mascara that makes me look as though I have! 2. Length. I want to look as much like a doll as possible! 3. Longevity, but without it being waterproof - I don't want to have to scrub my eyes to get it off and I don't want a mascara that gives up the ghost half way through the day. 4. A brush that makes it easy to apply and doesn't involve too much faffing around to get the perfect lashes. 4. Something that isn't too 'wet' I like things to be little bit claggy - if that makes sense! This adds the volume. 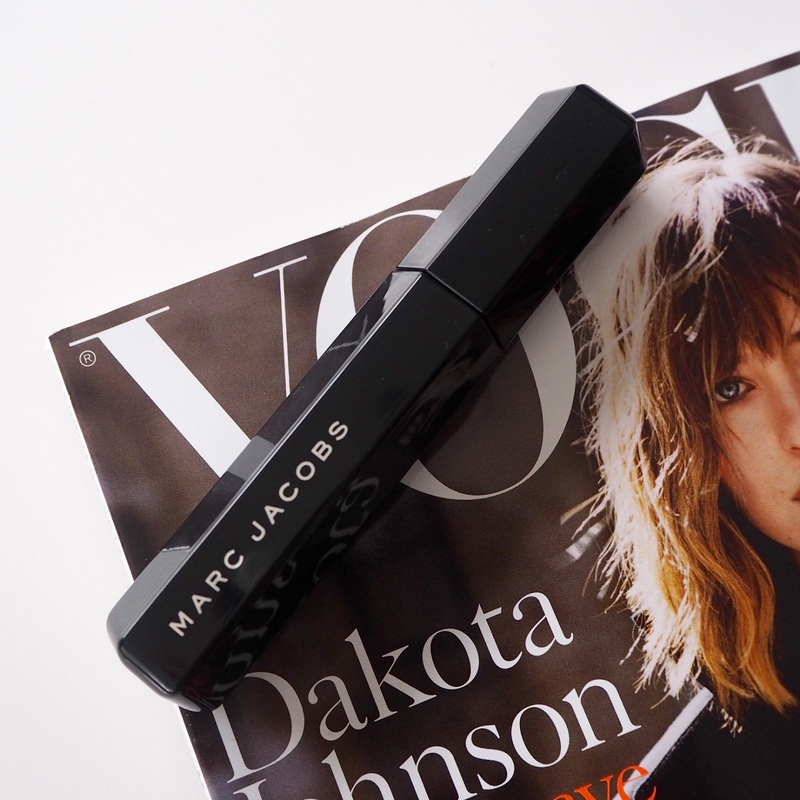 So when the new Marc Jacobs Velvet Noir mascara arrived on my doorstep a week ago I was dubious to say the least, would it live up to my mascara expectations?! And in short, it did, in a big way!!! I've been using this mascara for over a week now and I have to say, it's quite possibly one of the best mascaras I've ever used. Now I realise that's a pretty bold statement to make but honestly I am in love with this mascara! It ticks everything on my mascara 'wishlist' and more. 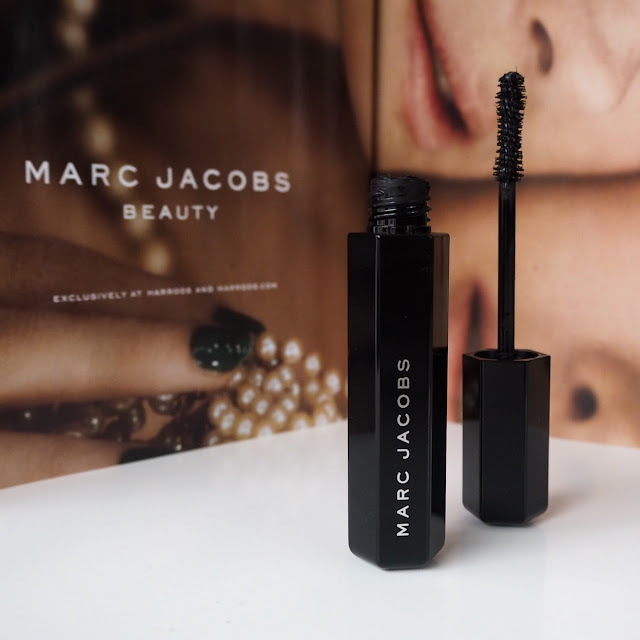 Marc Jacobs are advertising it as 'Instant Volume, Epic Lashes' and they are not wrong. The brush is designed to place the most volume at the centre of the lash line and the tip of the brush enhances the rest of the lashes. It lets you create long, thick and fluttery lashes with ease. The mascara is also very pigmented (he wanted to mimic his Mother putting particles of black velvet on her lashes to add volume) so lashes are super black and super thick. You don't need to spend ages applying coat after coat either to get the desired look. The photos I took are of just one application.I did try another coat for a night out for even more drama and the effect was also fantastic. 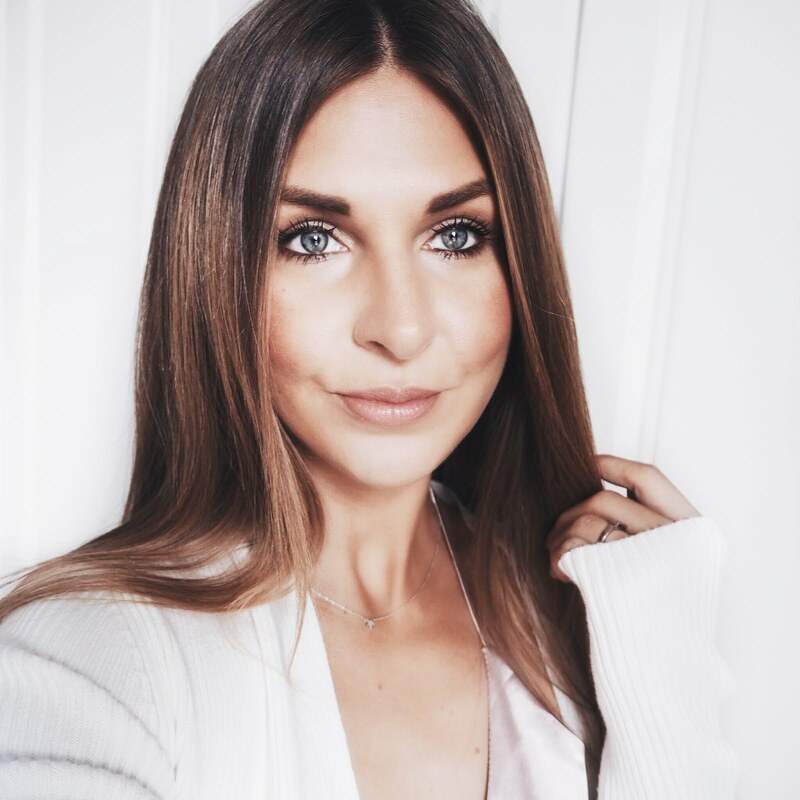 I have experienced no problems at all with this mascara smudging or flaking, something quite unusual for such a volumising mascara! Removal is also an absolute dream, I use my normal Klorane Eye Make Up Remover on a cotton pad at the end of the day and this does the trick perfectly. Oh and I couldn't possibly write a full review of this without mentioning the gorgeous packaging. Minimal, chunky and uber-luxurious! The wand is also easy to hold and use - another important factor I forgot to mention above! 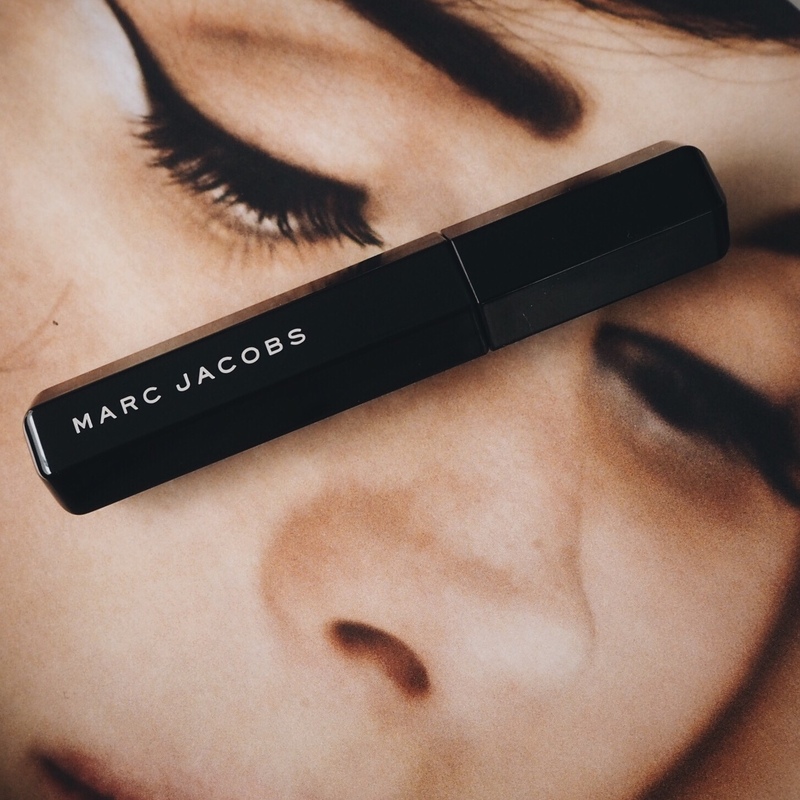 Marc Jacobs Beauty is about to launch in the UK and will soon be available exclusively in Harrods and on Harrods.com. (I believe it will be in January) so all those living in the UK will need to keep an eye on the website over the next couple of weeks. 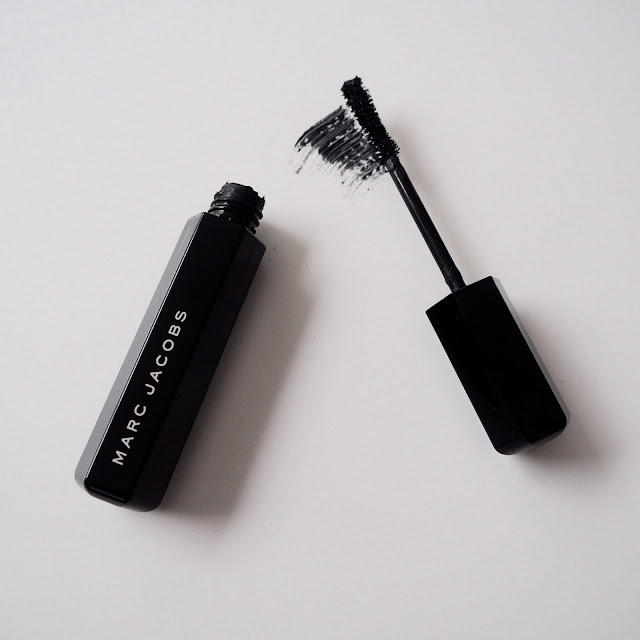 If you're lucky enough to live somewhere in the world where you can buy Marc Jacobs make up you will be able to purchase this now from you're nearest stockist. Since writing this blogpost Marc Jacobs Beauty has now launched online at Harrods and you can get it HERE!!! I will definitely be repurchasing this and I strongly suggest that if you like long, thick lashes that look as though you're wearing falsies, run out and get this immediately! * This post contains a PR Sample - but views are all my very own!